The BeatForm Edit feature lets you draw or paint with clusters of notes directly on the arranger. 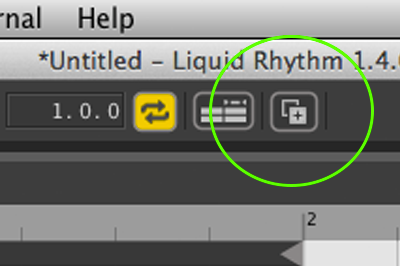 Click and hold the Note Edit button and select BeatForm Edit from the drop-down menu to activate it. To use it, select any BeatForm from the drop-down menu and click in the Arranger to draw with it. You can also click and drag on a BeatForm to move it around, and double-click to delete it. Right-click the pencil tool to access the paint tool while in BeatForm Edit mode. 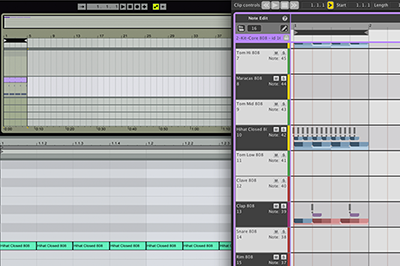 Click and drag to paint BeatForms onto the arranger. The higher you drag, the higher the velocity of the painted notes. 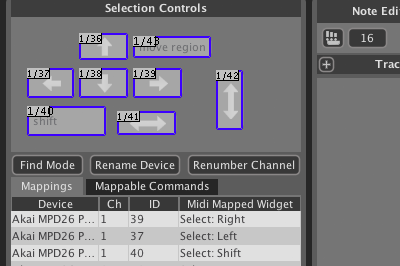 You can also multi-select BeatForms by pressing [command] on a mac or [ctrl] on a PC and clicking. Right-click on BeatForms to swap them. 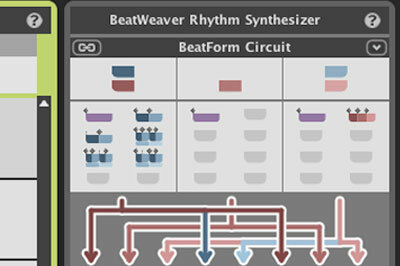 To adjust the dynamics of your beat, click and drag the velocity bars above the BeatForms. You can also right-click BeatForms and choose to mute them.